I had a request for a Spy Party and had so much fun putting all of the printables together. I'm still working on a few additional items like mustaches for a photo booth and round images that can be used for cupcake toppers/labels/stickers/tags and cupcake wrappers. 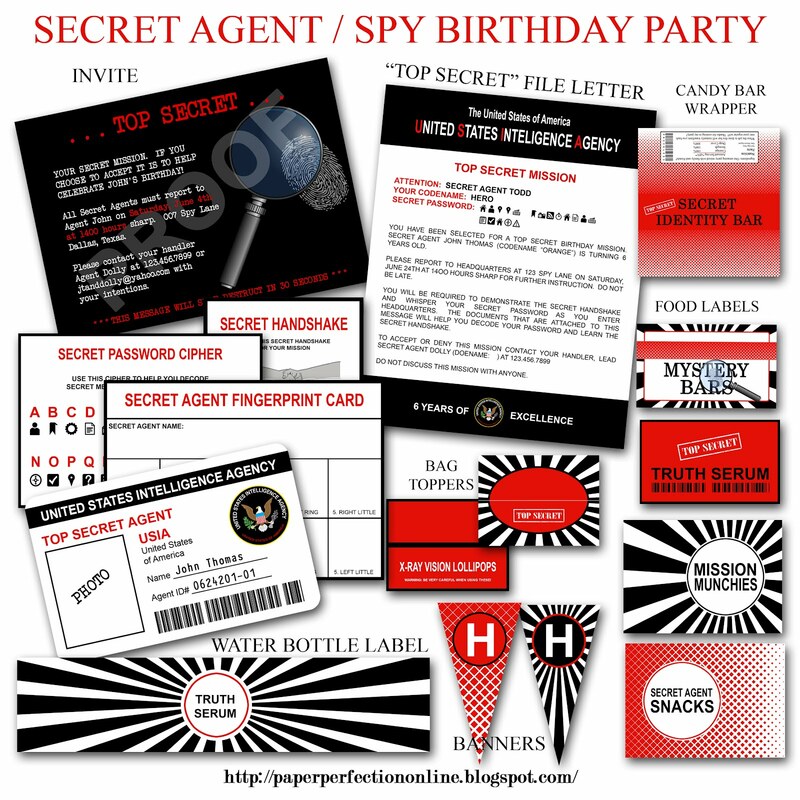 If you are interested in purchasing this collection or have a request for custom printables for your next party contact Paper Perfection at jtanddolly@yahoo.com for pricing and details.